Hydrate your way to calm, youthful skin with a moisturizing balm bursting with botanical actives. 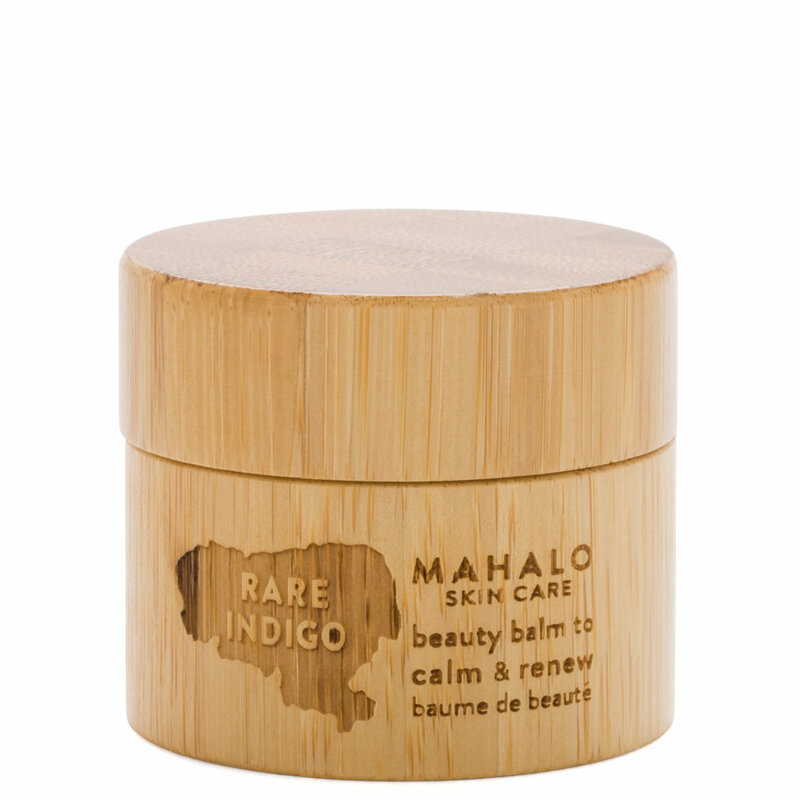 Supercharged with anti-inflammatory phytonutrients, collagen-boosting vitamin C, and restorative fatty acids, The RARE INDIGO Beauty Balm enhances your skin’s natural healing abilities to calm irritation and restore elasticity. Infused with chamazulene-rich actives and a rare extract of the indigo plant, this violet-blue formula assists in calming acne, eczema, rosacea, dermatitis, and inflammation while restoring skin’s vitality. After cleansing, gently rub 1/2 or 1/3 pea-sized amount between your palms to melt and activate the formula. A little goes a long way. Press into damp skin for 40-60 seconds. Pat an extra drop under your eyes to soothe puffiness, dark circles, and signs of aging. Allow product to soak into your skin for 5-10 minutes before following with sunscreen and/or foundation. Best if used after cleansing with The UNVEIL Cleanser Melt Concentrate. First off I have normal, acne prone skin. I bought this and the vitality serum because both claim to help calm acne/irritation on the skin. Sadly, both products broke me out. This beauty balm worse than the serum which I started using a few weeks before. Some positives are that the smell is beautiful and calming and a lovely way to unwind at the end of the day. Also, a little goes a long way so this will last a long time. Use it over damp skin and I find that it sinks in better. In terms of hydrating it is amazing - skin feels smooth and moisturized all day. BUT if you use too much it will not all sink in and make the skin feel oily (and I use oils everyday in my skincare normally, so I mean pore clogging oily). Right now I am using this over my neck which makes me sad but the acne it gave me was deep and painful so I am terrified to use it on my face again.